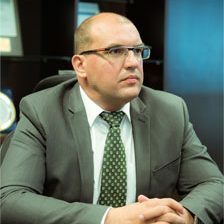 Dimitar is our Country Manager for Bulgaria. His major function is to ensure service excellence for all client engagements in the country and develop an organization that is ready to handle further business growth. A key part of his role is to establish and maintain strong relationships among the functional teams and keep them aligned and focused on achieving superior productivity, high customer satisfaction, team engagement and people development, continuous improvement, top level quality and compliance. Dimitar ensures that all of our team members are led by example, share our values and always put the customers first. When he takes a rest from making the world a better place, Dimitar enjoys his family, the nature and the high speed. I am surrounded with smart and resourceful people who live the entrepreneurial spirit and strive for excellence in all levels.